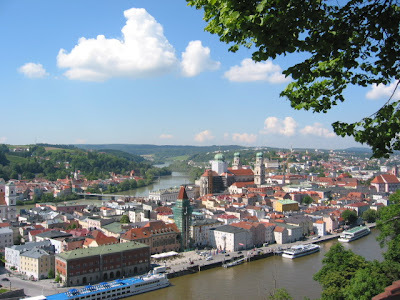 It's our last day in Germany so we are making the most of it and getting some culture in the lovely city of Passau. 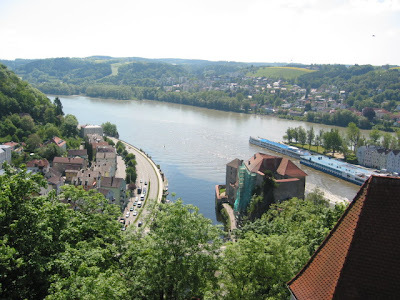 Passau has the confluence of the Donaü, the River Inn and the smaller river Ilz - the Donaü is muddy brown and Inn is more green/blue but at the confluence the Donaü wins out and the rest of the river is brown. You will see this in the second photo below. 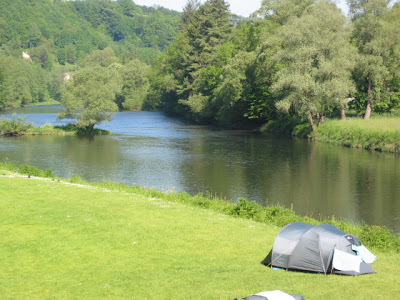 We have enjoyed a lovely campsite by the river (Ilz) - there are more tents there but we didn't capture them!! 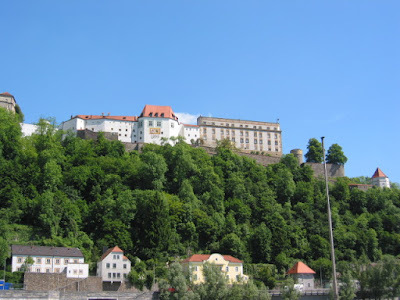 We visited the excellent Fortress Veste Oberhaus (up high - this is where the photos of Passau city and the rivers were taken) which is an excellent museum of local history. At midday we enjoyed a concert in St Steven's Cathedral which has the largest cathedral organ in the world. 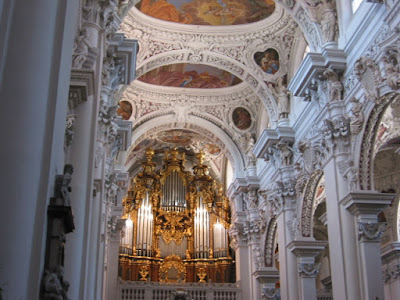 For Sandy's Uncle Rob - 17,974 organ pipes, 233 stops and 4 carillons!! We also visited the Glass Museum which has 30,000 exhibits and embraces 250 years of Bohemian glass history. If it sounds like a tourist brochure it's because it is!!!! 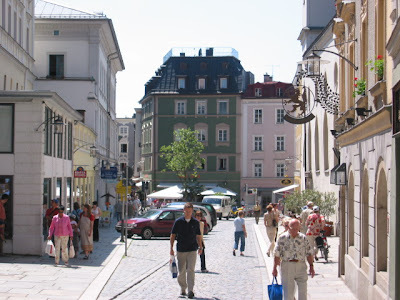 The last photo is of a street in the old part of Passau. Tomorrow we are off to Linz and will be in Austria for the first time. We are looking forward to a new country but we will miss Germany.